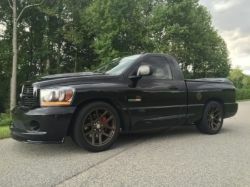 Dodge Ram SRT-10 Forum > Dodge Ram SRT-10 Discussion > Visual Modifications > Where can I get a used SRT-10 engine to put in my Ram 1500? Where can I get a used SRT-10 engine to put in my Ram 1500? I have a 2008 dodge ram 1500 MB SD Connect C4 and i'm looking for a wrecked or used SRT-10 engine to replace my old one. I'm just wondering where i could find one and roughly how much it would cost. Any help would be great. I have a 2004 engine that's freshly rebuilt for sale.